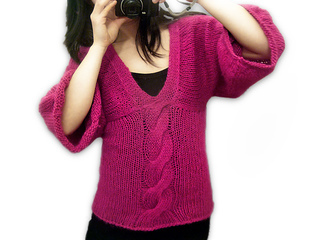 This for now is more like a description or a receipe of how i knit this improvised pattern, than a real pattern. Added a picture with the measurements of size S to the pattern - download this updated pdf file in case you’d like to have these. 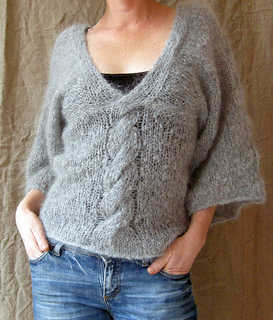 Note 2: I recommend this pattern to be knit in a soft yarn and with needles bigger than your yarn ask for - to get an airy, drapey fabric and avoid curling.